Sometimes one beautiful bottle will do, as in a housewarming or when you’re a guest at someone’s home. However, when it’s really time to bring the party, it pays to have a wine repertoire to match a variety of tastes and desires. But … how to carry them all? 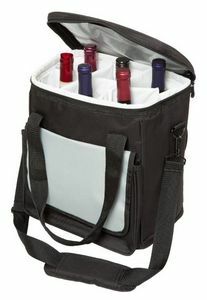 Easy: 6 bottle wine bags. With an array of choices and a list of party ideas that will help you host a smash hit, you can’t go wrong. Party time, and you’re stuck on what to serve. Perhaps you don’t know anything about food, or anything about wine, or anything about either. Of course, offering yummy snacks and nice vino rarely goes awry, but choosing comestibles that complement one another is a classier move. So what’s a guy or gal to do? Ask an expert, that’s what. Luckily, Community Table is here with an easy breakdown of what food to serve with which wine . 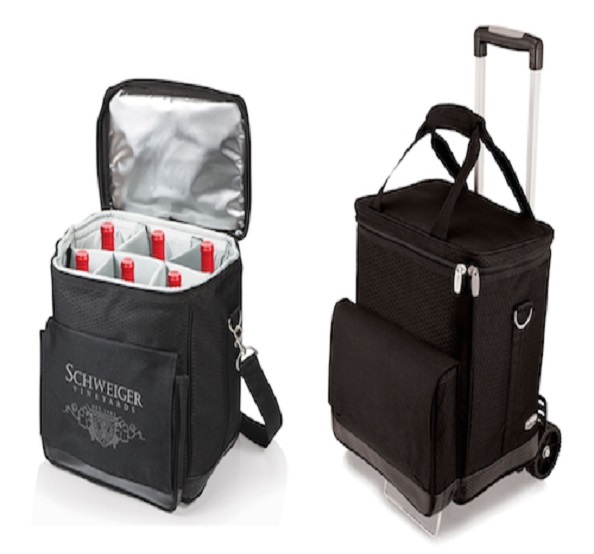 Rules include sweet with heat, in which you match sweet wines such as Riesling to spicy foods that have a fiery kick. Of course, sweet wines also go well with salty foods or those that are sweet themselves. Grilling? Choose an oak-aged wine to complement grilled or charred meats and fish. Fried or fatty foods go well with wines high in tannin. When in doubt, pair like with like: rich with rich, mild with mild. 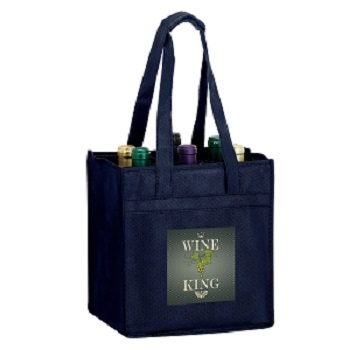 When you’re hosting a party – whether it’s for 10 people or 1,000, and whether it involves a single 6 bottle wine bag or two dozen of them – there are a few necessary elements you should always include. First things first, décor. If you don’t take the time to outfit your event with great decorations, swag, flowers and favors, you’re immediately giving your attendees the “meh” signal. Don’t do it! Even if you couldn’t care less about lanterns and fairy lights, your guests will, so go the whole nine yards. It’s always worth it, and the more of that lovely wine you drink, the more you’ll enjoy it too. Many people omit this when party planning, but ensuring you have plenty of different activities is one of the best ways to host a great event. When people can move seamlessly from eating to talking to walking to dancing, they’re at ease and enjoy themselves most thoroughly. Stage lots of different areas, and match the tone of the activities to the tone of the party. Big wedding? Hay rides, photo booth, candy bar and croquet all come to mind. Business schmooze-fest? Swag table, press corner, music and cocktail lounge would fit the bill. 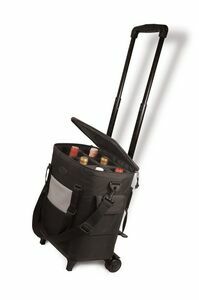 Lastly, make sure people have plenty of hardware to be able to enjoy all that wine you’ve supplied. 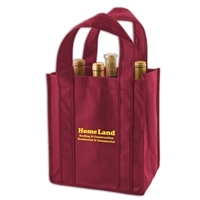 Wine glasses that match the style of the wine , foil cutters, bottle openers and cocktail napkins will ensure everyone finds what they need, when they need it. Now, what you hope to get out of your wine party really depends on who you are and why you’re throwing it. An engagement party for your two best friends is one thing, and probably doesn’t necessitate a whole lot of brand building during the event! You’ll have enough on your plate (or in your glass) simply refilling the pastry board, making sure everyone has a good time and keeping old Aunt Martha out of the kitchen. 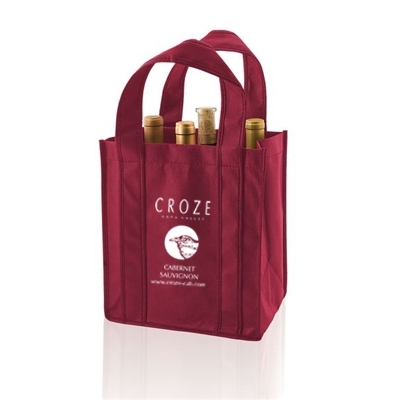 However, at any business event, wine bags are a great opportunity to showcase your style and get your logo out into the world. 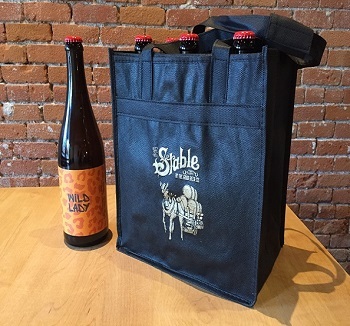 Did you know that throughout their lifetimes, custom printed bags receive an average of 5,938 brand impressions each? Considering this, you’re really wasting your time and money if you opt for a plain Jane alternative, aren’t you? 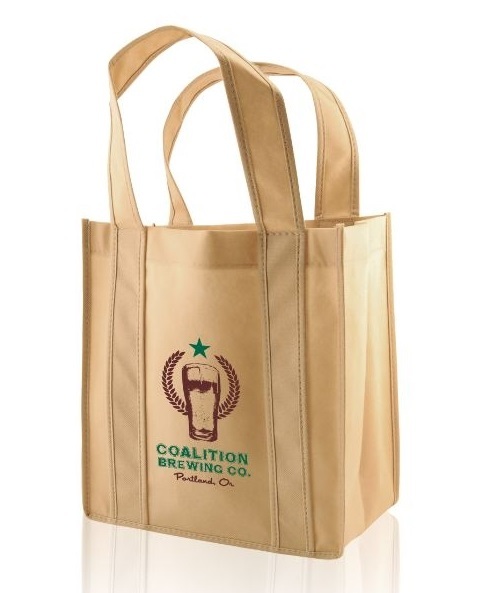 It makes no sense not to go for a bag printed with your logo at any business function. Maybe you are a wine store or vineyard kicking off your business or celebrating a big anniversary, and you’ve invited everyone who’s anyone from your area. 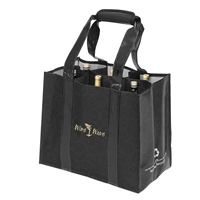 Thank them for attending and supporting your business with 6 bottle wine bags filled with offerings from your store or your acreage. There’s no better way to get people interested than to let them taste what you do themselves. 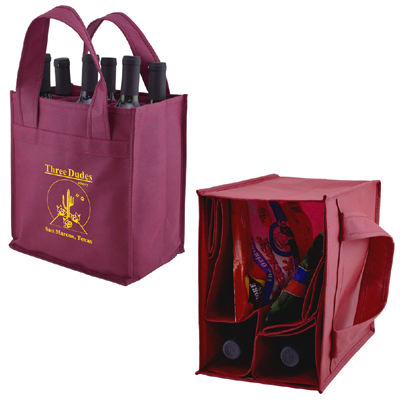 Although it is an important service, wine bags do more than just carry wine … they also tell the world who you are. 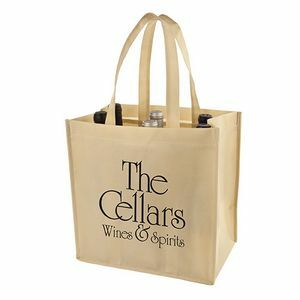 Whether you’re a financial firm looking for more clients or taking care of the ones you have, a high-powered law office building name recognition, or a simple artisanal store hoping to make a splash in a new neighborhood, giving away reusable wine bags – with or without grapey goodness inside – is a marketing move par excellence. Try it. You’ll see what we mean.